Our speaker was Bethany Kuster with Color for Kids. 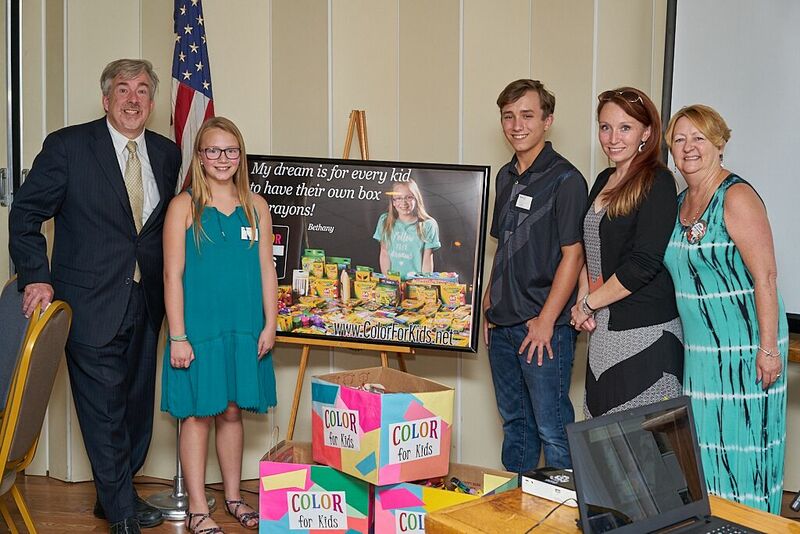 She is a local middle schooler that has started her own non-profit to bring color to kids everywhere. 7,239 kids around the world now have Color so far! 300,464 crayons shared and counting! Her dream is for every kid to have their own box of crayons. Their mission is to promote individual expression and creativity through color of children in high poverty schools enrolled in grades pre-k through grade 4 by prociding personal art supplies that they can bring home. Click here to visit her website!